The British historian Arnold Joseph Toynbee was born in London on 14 April 1889 and died on 22 October 1975 in York, North Yorkshire, England. He was educated at Winchester College and Balliol College, Oxford. He was the nephew of economic historian Arnold Toynbee, with whom he is sometimes confused. His first marriage to Rosalind Murray, with whom he had three sons, ended in divorce in 1946. Professor Toynbee then married Veronica M. Boulter, his research assistant. 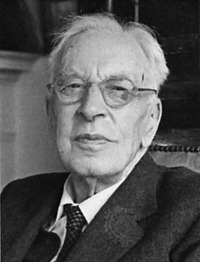 From 1919 to 1924 Arnold J. Toynbee was professor of modern Greek and Byzantine history at King's College, London. From 1925 until 1955 Professor Toynbee served as research professor and Director of Studies at the Royal Institute of International Affairs. During both world wars The British historian Arnold Joseph Toynbee was born in London on 14 April 1889 and died on 22 October 1975 in York, North Yorkshire, England. He was educated at Winchester College and Balliol College, Oxford. He was the nephew of economic historian Arnold Toynbee, with whom he is sometimes confused. His first marriage to Rosalind Murray, with whom he had three sons, ended in divorce in 1946. Professor Toynbee then married Veronica M. Boulter, his research assistant.